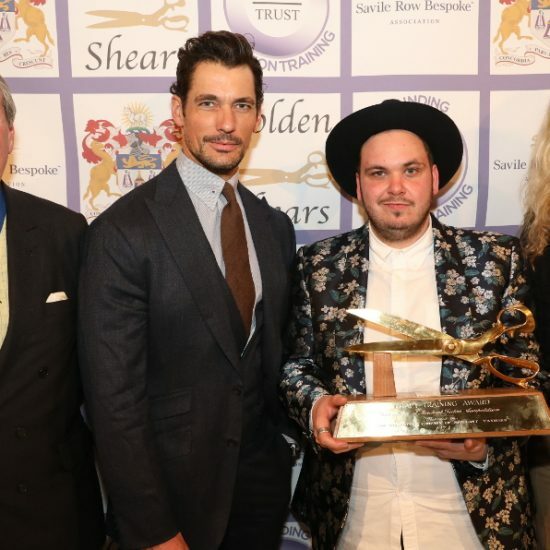 Winner of this year’s Golden Shears award is golden boy Joe Holsgrove, 20 year old trainee at Denman & Goddard, who managed to triumph over strong competition from a highly talented field of young tailors. 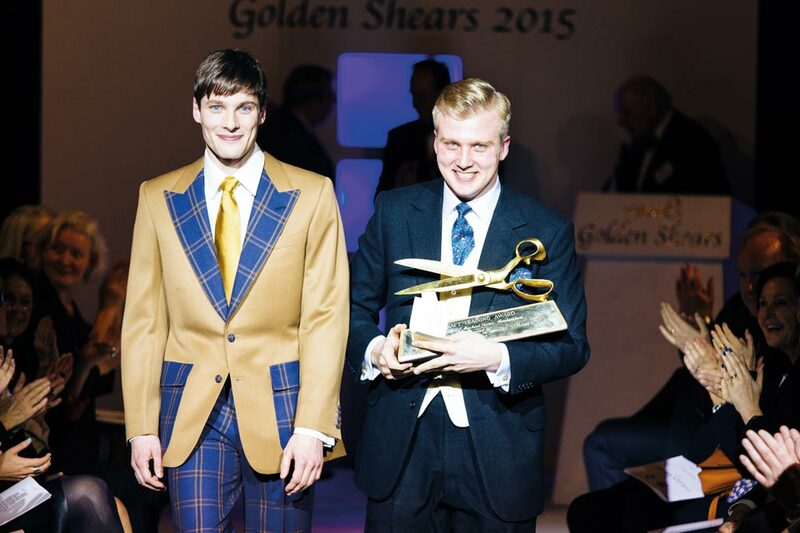 The Golden Shears competition takes place every two years and is open to tailoring trainees and students. 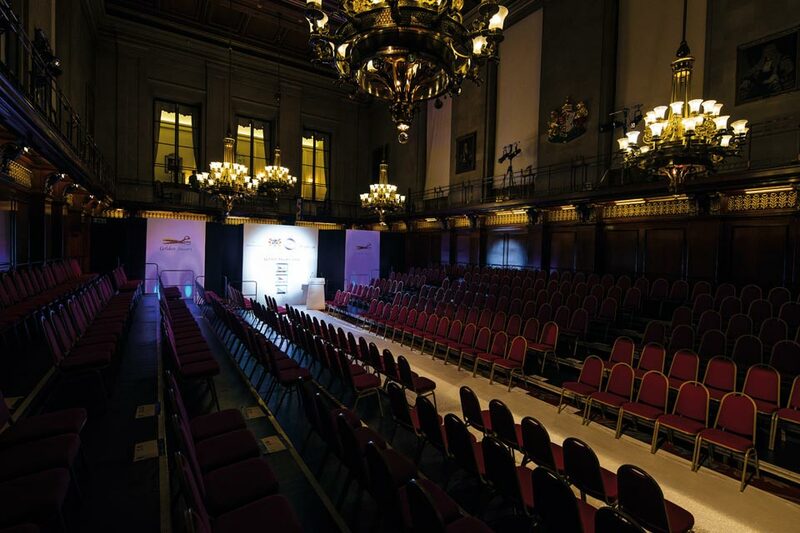 Known as the Oscars of the tailoring world, it attracts entries from across the country as well as Savile Row, and shows the tremendous wealth of talent now emerging. Joe was studying graphic art, when by happy chance he arrived at Denman & Goddard in 2011 for some work experience. That was it. Joe Holsgrove and his winning outfit. “I just loved the detail, the precision, turning a 2D pattern into a 3D garment,” he said. And he fitted in so well, he was offered an apprenticeship by Denman & Goddard, which he started the Monday morning after the Friday that he left college. For his Golden Shears entry, he designed, drafted, cut and made up the suit, right the way through to the final finishing details, basing it upon a fairly classic styling but with some original aspects “to give it catwalk appeal”. 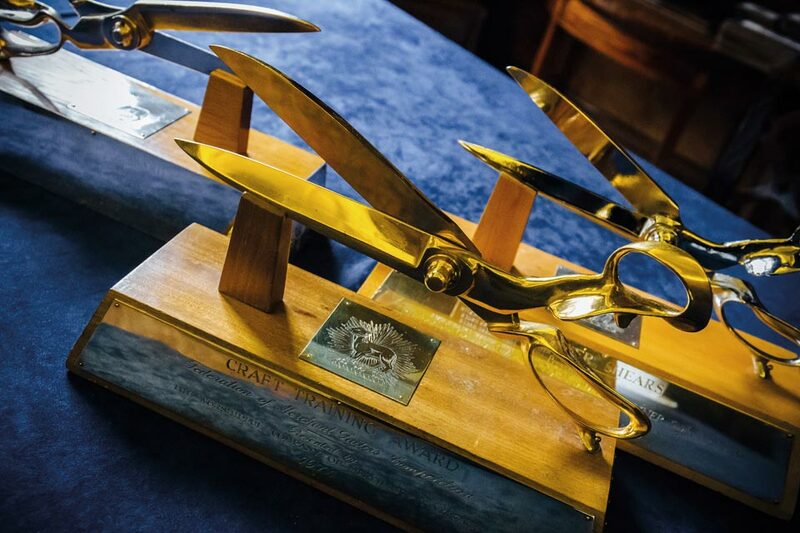 He was positively glowing with elation after the presentation in March at the Merchant Taylors Hall in the City. Before an audience of tailors, fellow trainees, relatives and media, the garments of the 25 finalists were presented, and it was clear the judges had a hard time in selecting the winning trio, such was the high standard. Joe’s success was a popular one. 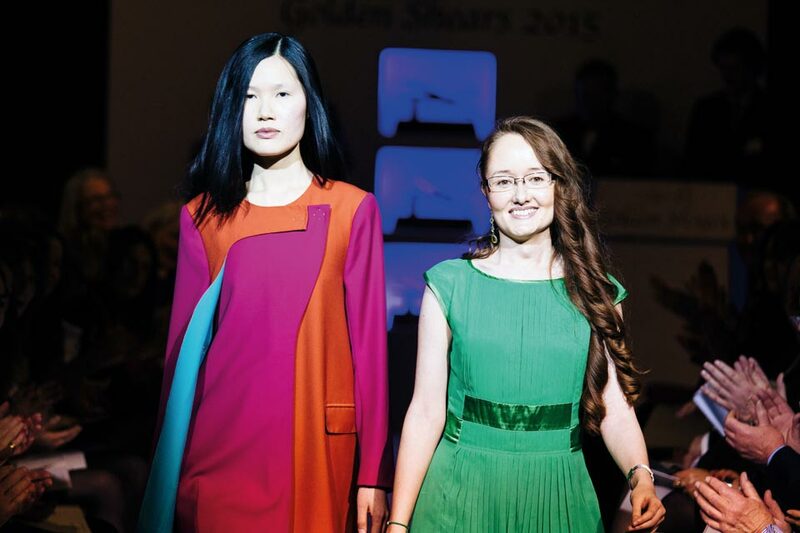 Second came Dionne Reeves apprentice at Huntsman, winning the Silver Shears award, with Nuriya Kabirova, studying at Rochester University of Creative Arts, receiving the Rising Star award. But all those who entered were applauded by an appreciative audience, and have undoubtedly received a boost to their careers by being in this final selection. 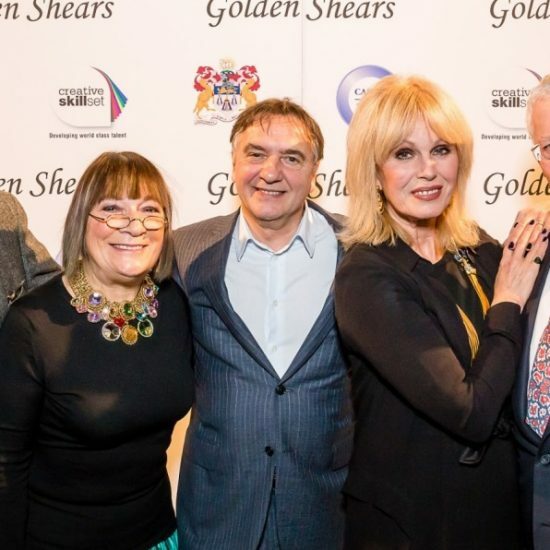 All entries went through very rigorous examination to reach that stage by the team of technical judges, which included Jonathan Becker of City tailors Couch & Hoskin, Alan Bennett of Davies, Joe Morgan, Chittleborough & Morgan, Kathryn Sargent, and Brigitte Stepputtis of Vivienne Westwood. The final selection was made by judges Jodie Kidd, Piers Linney, Betty Jackson, Lord Grade and Jennifer Saunders. She spoke for all of them when she said “It was the hardest thing to judge, the standard was just so high”. 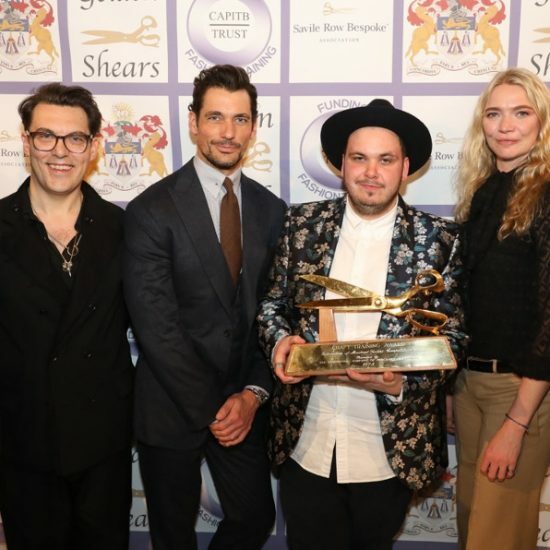 After receiving the Golden Shears award, Joe himself said he was speechless, but still managed to say that “all the hard work has paid off”. He still has a year of his apprenticeship to run, but winning this coveted prize is a major landmark. 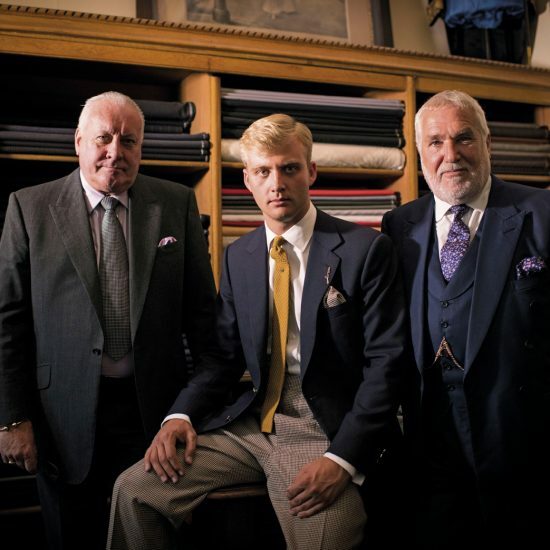 There is little doubt that he will become the Master Tailor that is his aim, but in the meantime he is very happy where he is, and to have Dino Constantinou, at D & G, as his mentor. Now, he looks forward to having some time for his hobby of renovating classic Beetle cars, and to catch up with friends. They think he is a pretty smart dresser, and he certainly looks the image of what a Savile Row tailor might be expected to look like. And with that he was off to celebrate with a night out on the town with his proud parents, grandfather and brother.